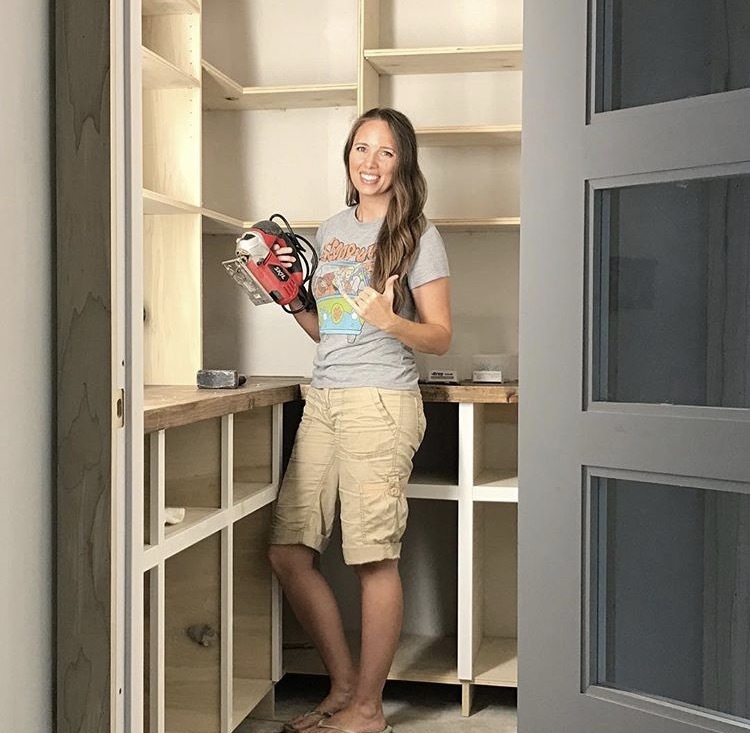 In today’s Maker Mom interview, I talk with Charlee from Build and Create Home. Charlee is both a maker and diyer, with a heavier focus on diy currently. Oh, and she has 4 kiddos. Check out the interview to see how she manages to run her own business, remodel her home, and be a stay at home Mom of 4! 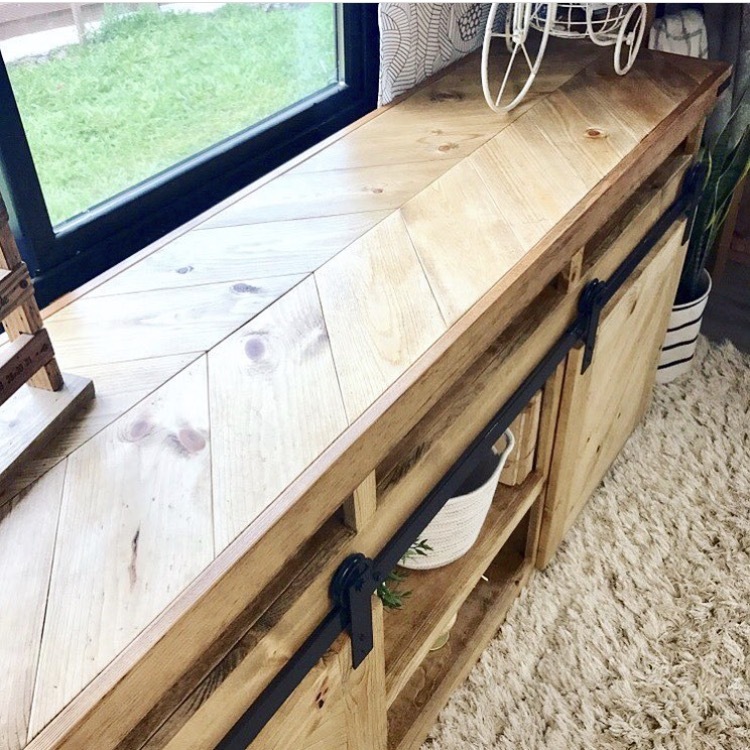 My name is Charlee and I live on Oahu and I blog at Build and Create Homes and I’ve been a woodworker for almost a year. I have four kids, they range from 5 to 13. 2. How Long have you been a woodworker and how did you get started? I started as DIY. We purchased a home in 2010 and did some work. My husband has a really busy job in military. He would get me started on a project, I had zero skills with power tools or anything and he would get me started. Say this is how the tool works, this is what we need to do, go for it. And I would tear down walls and tear out cabinetry and lay tile and just figure out all that kind of stuff as we went along. We ended up only being stationed here for a year so we had to hurry and get it done really fast. And then we moved somewhere and we were renters. So, I had all these power tools and knowledge and I couldn’t rip out any walls or do anything so I turned to woodworking. And I really love woodworking, so I really got into that and I started selling furniture. And now we’re back in Hawaii in the same house and we’ve just added on 700 square feet to it and we’re doing a really big remodel. So, I’m kind of doing a woodworking break while doing some tiling and some woodworking with carpentry, building cabinetry and my pantry, things like that. General DIY stuff right now. 3. So, 2010 was the first time you ever used a tool, was there any one tool you found intimidating? Well because I didn’t have any experience with any tools, they were all intimidating. I was a total girly girl so any of them were really out there for me. The circular saw was the first saw I used. Looking back on it, it probably wasn’t the safest saw to learn on, but it works, and you can do a lot with it. The tool that I feel like really pushed me over into the woodworking category was my miter saw. Once I got that, I felt like ya, fell in love with the miter saw. My first one was just a tiny 7 inch little cheap one and I loved it, worked great for me for a little while. Just ramped up to a 12 inch a couple of years ago and I don’t know what I would do without it. By far my favorite tool. Check out Charlee’s blog here.